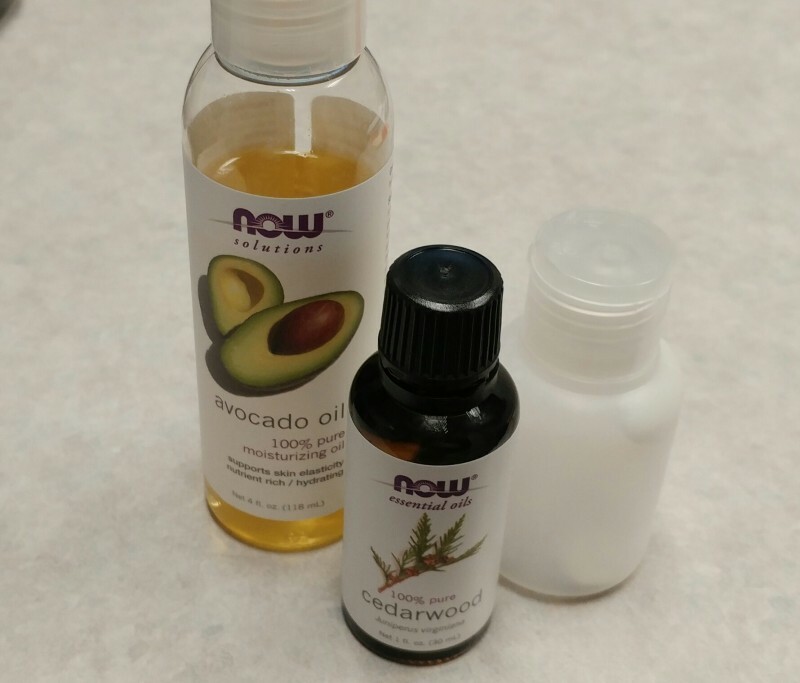 I've been experimenting with essential oils the past two weeks and am learning about the importance of carrier oils. In my reading, I saw that some essential oils can be applied directly on the skin using a drop or two. However, most sources recommend diluting it in a carrier oil before applying to the skin. What does that mean? I've tried two different forms - a liquid and a lotion. The liquid carrier oil that I've been using is avocado oil. (Surprisingly, I tested weakly with grapeseed oil and jojoba oil, but strong with almond and avocado oil.) To dilute the essential oil, I first place some of the avocado oil in my palm and then add a drop of the essential oil. Then, I mix them with my finger and rub the oil on my feet or shoulders. The shea butter works the same way, but it's more the consistency of a lotion. Diluting the essential oils has been important, because by themselves they were too potent for me. I've enjoyed using the cedarwood oil at work, usually just once a day, and the ylang ylang and frankincense at night. The geranium oil made my throat feel tight even though I tested well with it, so I haven't used it much. The lavender was also too strong - instead of relaxing me, it made me feel tense. I found that Marjoram was a better alternative, because its scent is more gentle and calming. I also got a blend from an aromatherapist in New York called Mermaid Blend which has a deep, rich aroma like the sea. I've used it a few times and really love the scent. That's the latest from my aromatherapy experiments :) Now I'm trying to find a class in my area so I can learn the basics from someone who knows what they're doing.